A big congratulations to our friend Ozlem at Ozlem’s Turkish Table. She has published her first cookbook and I can’t wait to read it! I just finished ordering my copy. Yes, she ships to the US! Ozlem’s blog has been my go-to for Turkish cooking. Why just this past weekend I paid her blog a visit! The blog has a lovely design, tons of photos, easy to follow steps and explanations, and best of all, it’s written in English! I’m sure the book will be just as lovely. To read more about the new cookbook and to order a copy, visit Ozlem’s blog post by clicking here. We wish you the best Ozlem and continued success! Thanks for all of the recipes! Update Nov. 2018: I received my copy shipped from the UK to the US on time in the early Spring as promised! It’s a lovely, lovely book and I hope to blog it one day soon! I really admire your work! And I really do go to your blog first. I had a halloumi cheese in the refigerator. I wasn’t sure how to cook it, although I knew it was fried. I knew it would be easy to find on your blog. You have everything. I simply adore it . . . and you! I already have “The Sultan’s Kitchen” which is good, but I would like to have this new cookbook as well. Where did you order it? It’s not on Amazon; will it ever be? Hi Linda, if you click the link through to her blog, you will find the link to order the book. Thanks! 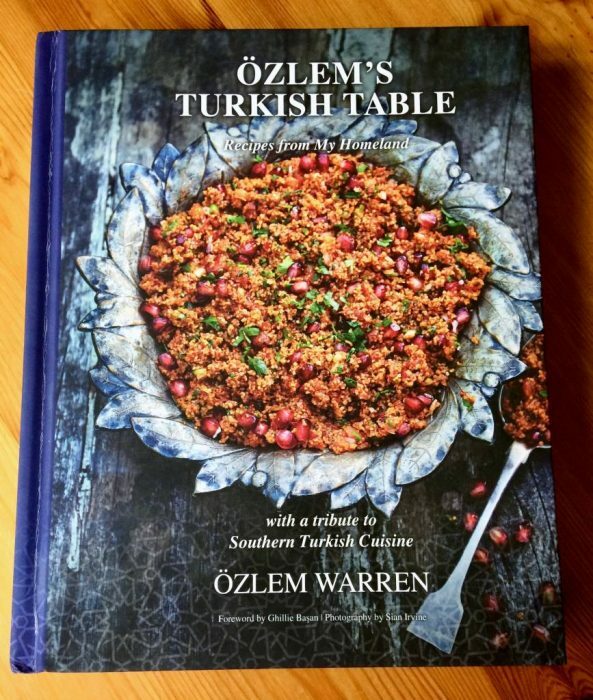 Özlem is my favorite source for Turkish recipes after my mother-in-law 😉 and I’ll definitely be recommending this cookbook to my friends and family back home in the US!